It has been so cold here. We have been cooped up inside for most of the winter, aside from the few snow painting activities we did to brighten the snow. Although we have been having a lot of fun with our sensory play and science experiments, we needed some fresh air. 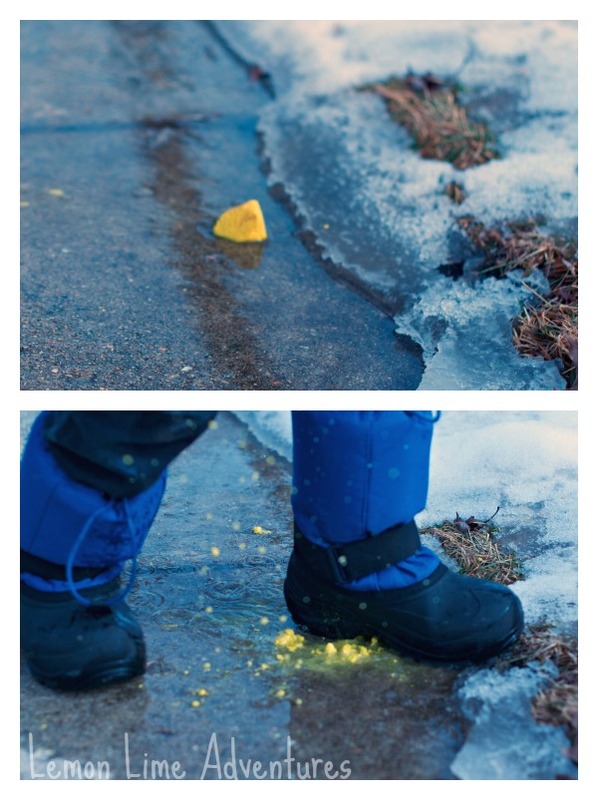 So, when the first day the snow melted we couldn’t wait to try some sidewalk chalk art. I never imagined we would be stomping the winter snow into bright spring puddles. Like I said, it has been so cold and we were all itching to get outside the minute it got above “frigid”. Last week, we finally go to get outside and enjoy the fresh air, even if it was just for one day before the snow returned. It was the first time all winter we had even seen the sidewalk. So, naturally, we got out the sidewalk chalk to make some creations. At first we just made lines and shapes and we even started making rainbows. 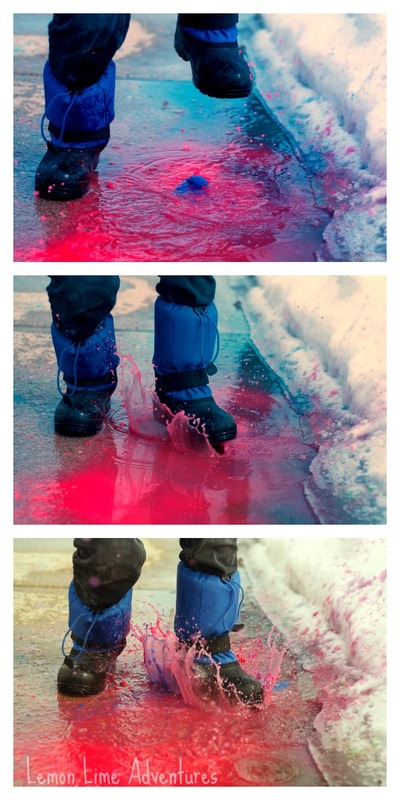 We figured out that if you dip the sidewalk chalk into the puddles, you get a rich painted effect. I absolutely loved this rainbow Bones (age 6) made. 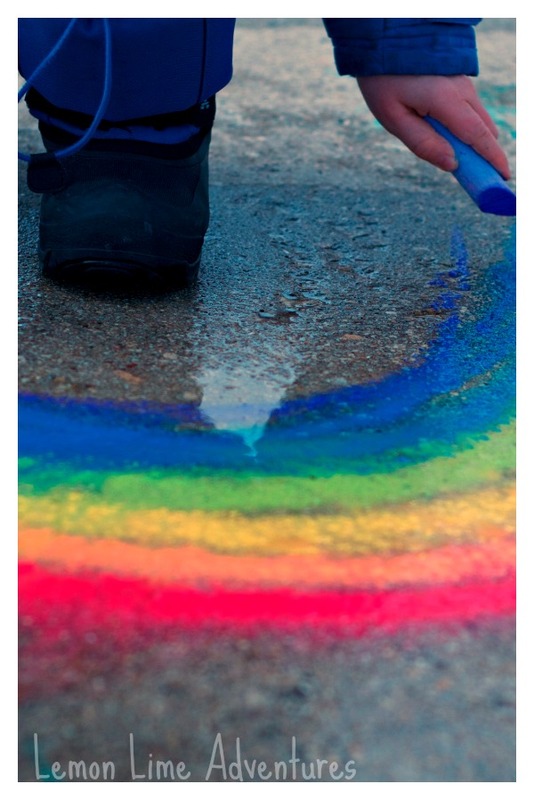 With just a flick of our hands, we magically turned our rainbow into an art-piece. Bones discovered that shallow puddles allow you to mix and blend the colors together. Before long, the boys started to want to run around and get some of the cooped up energy out of their system. I mean, who wouldn’t need that after the long winter we have had? One lonely piece of chalk sat in a puddle. It was just asking to be played with. I am pretty sure it called our names. Come play with me. Come stomp out winter! Bones looked at me and then looked at the chalk. Hesitantly, he waited, as if to say “Can I do it?” I nodded and the fun began. It was so cathartic. Broken chalk piece after broken chalk piece was sacrificed, all in the name of Spring. The boys played with this repeatedly. They were having so much fun, they even caught the attention of the neighbor (10 years old) who just had to join in the fun. They stomped, they squooshed, they mixed. They laughed, they played, they they created. Who knew a little outside time was going to turn into such an adventure in art? Who knew we would explore color, mixing, and process art all on one “Spring” day? I bet we will use this technique as it actually warms up. This is something we can use throughout the summer and into the fall. All we need is some sidewalk chalk and some puddles. When is the last time you surprised yourself outside? What is your favorite activity to get into the Spring spirit? I would love to hear! Follow me on Facebook, Twitter, Google+, Pinterest, Instagram or subscribe by email. I can’t wait to hear your ideas. Looking for more Spring Activities? 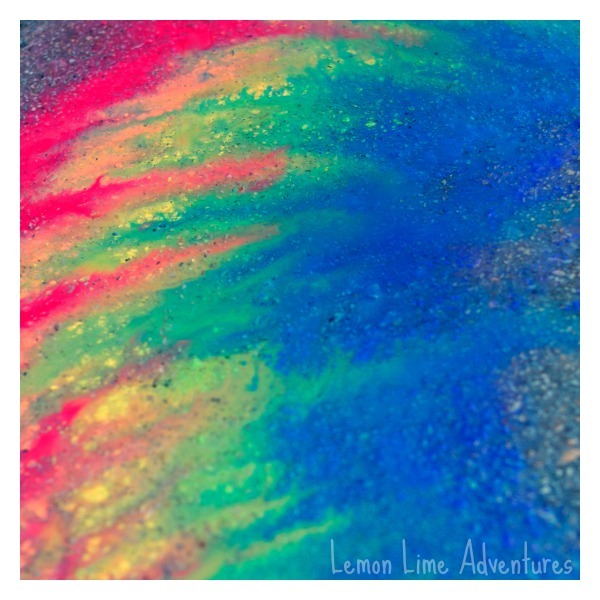 Follow Lemon Lime Adventures’s board Spring on Pinterest. 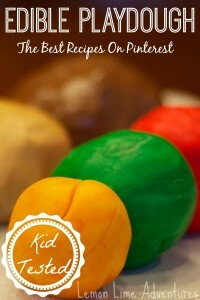 Follow Kid Blogger Network’s board KBN Season: Spring on Pinterest. This looks sooo fun! My daughter would be in love with it. What gorgeous pictures these are too :). Fantastic! I know my boys can’t wait for the last snow to melt to do it again. They are already planning the water hose puddles this summer! We had a similar experience in the southwestern heat last summer. When the monsoon finally came, my children went out to play in the warm rain. They made beautiful pictures with side walk chalk. Awesome! I love hearing stories like this! Thank you! Yes, let me know if you try it! 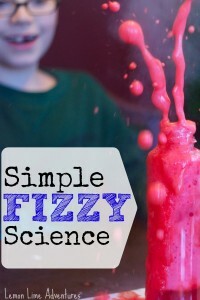 I would love to know how it goes if you try it! How fun!! This makes me want to go outside and do this myself!! The wet chalk really does look stunning! Oh thank you! 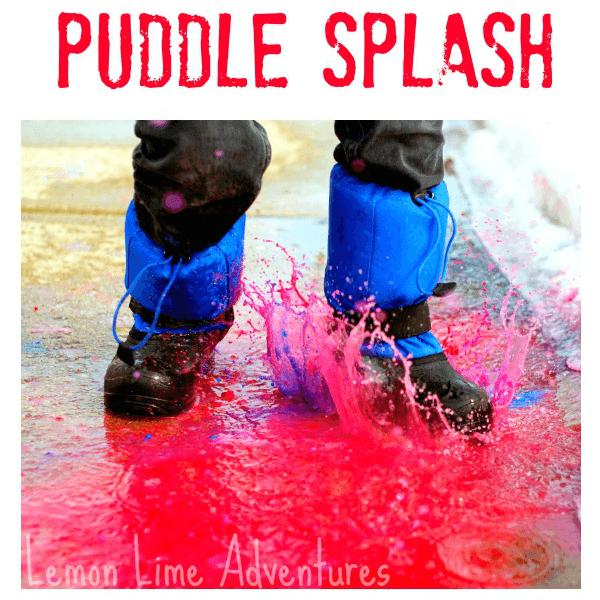 It was so fun, we can’t wait for more wet sidewalks! I absolutely love this! It seems planned it worked out and looks like a lot of fun. 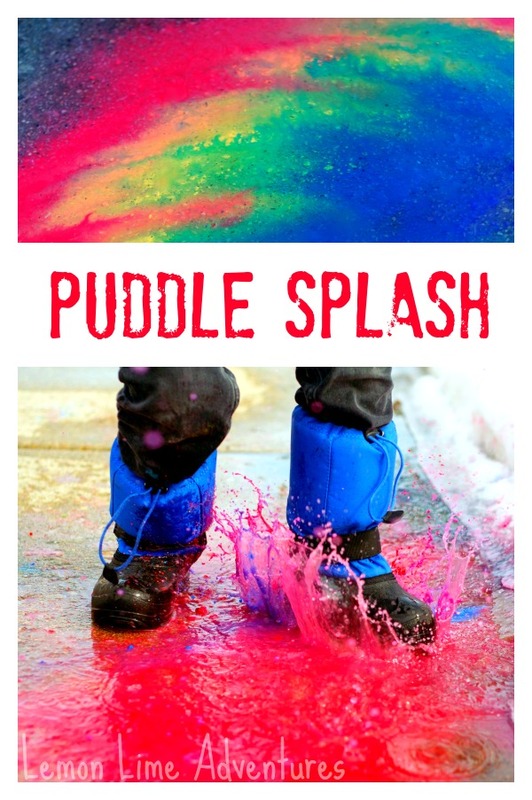 April will be the perfect time for this activity with all the rain! Hopefully it will work out as well planned as spur of the moment. Thank you for sharing and inspiring this momma! It was a lot of fun and we hope to try again with the hose or rain puddles as it gets warmer.